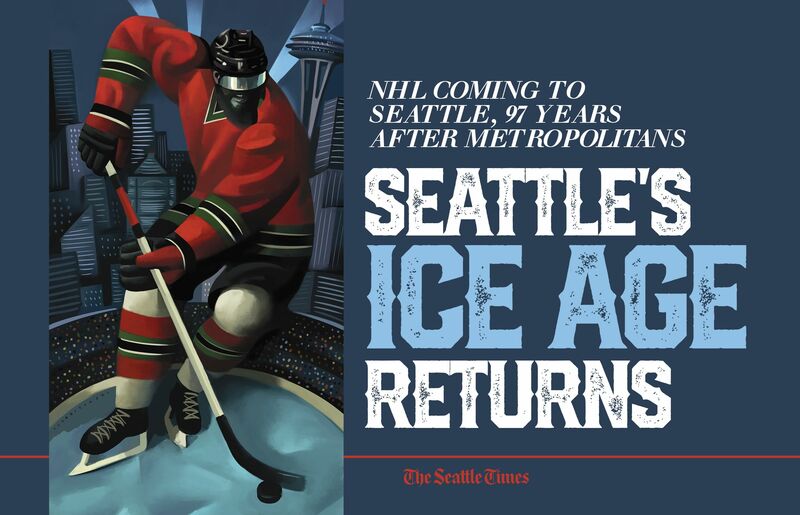 The NHL on Tuesday will finally put an expansion team in Seattle, ending the league's yearslong pursuit of this market. It has taken a whole lot of arena politicking — and an interesting cast of characters — to get us to this point. Five years ago this coming spring, I participated on a special Hockey Hangout media panel at The Angry Beaver sports bar in Greenwood, where we chatted with fans about the National Hockey League’s apparent interest in putting a team in this city. It seems like an eternity has passed since, what with all the arena sagas and false starts aimed at fulfilling what has long been the NHL’s wish. But on Tuesday morning, hockey fans will again gather at a local watering hole and this time, the hypothetical will give way to reality. 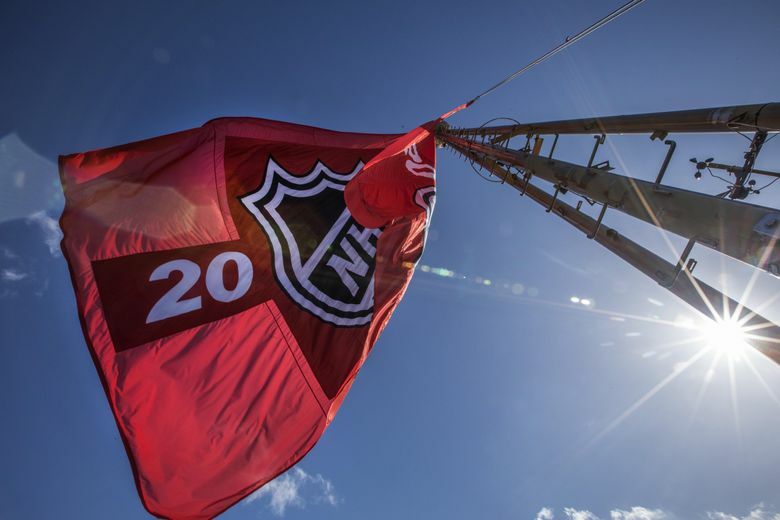 An event titled “Decision Day for Seattle Expansion Team’’ will take place from 7:30 a.m. to 11:30 a.m. PT at Henry’s Tavern in South Lake Union, roughly timed with a meeting of the NHL board of governors in Sea Island, Ga., to discuss awarding our city the league’s 32nd franchise. 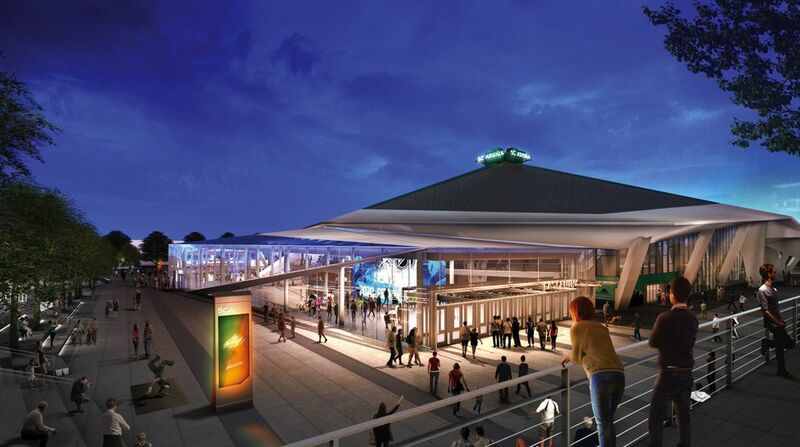 Food and beverages will be paid for by the NHL Seattle group and Sports Radio KJR will host a two-hour show remotely from the venue in an event designed to build suspense ahead of an expected expansion announcement. It will be much like your average football tailgating party, with one notable exception: We already know the outcome. When the meeting in Georgia lets out somewhere between 8:30 and 9 a.m. PT, NHL commissioner Gary Bettman will confirm the Seattle ownership group of David Bonderman and Jerry Bruckheimer has a franchise to launch either in 2020 or 2021. So, the Henry’s Tavern event is more a postgame celebration than a pregame tailgate. And why not? After what local sports fans have been put through to get a winter team, it won’t hurt to have the suspense curtailed. 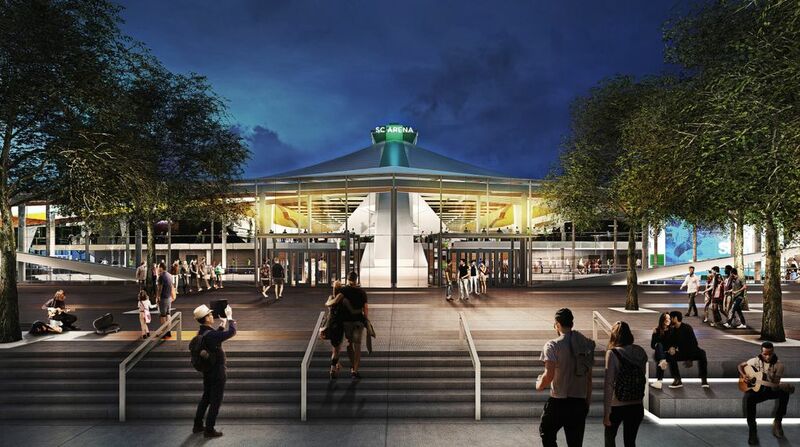 Once a deal between the City of Seattle and the Oak View Group to renovate KeyArena was confirmed a year ago this week, everything else became academic. As far as the NHL was concerned, having waited this long to give us a team, this was a done deal the minute the city signed off this past fall on an environmental-impact statement and final transaction documents. So, yeah, it’s time to celebrate. 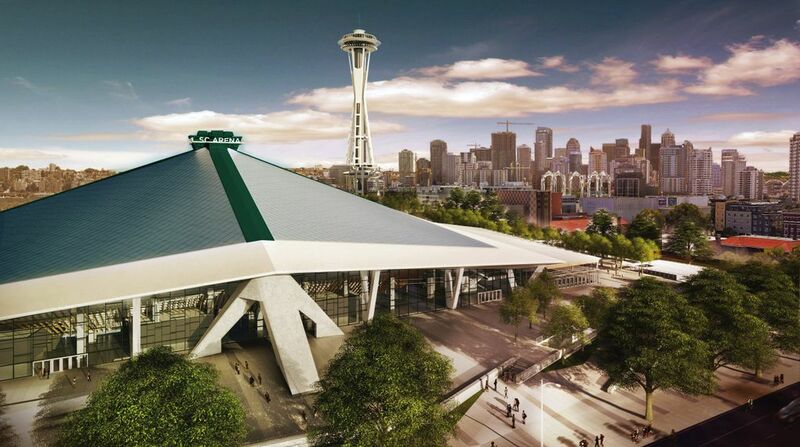 Sure, this isn’t a return of the NBA SuperSonics just yet — and won’t be until that league awards similar expansion franchises or relocates a team. But we’re light years from where we were in early 2014, with winter sports on hold pending the ability to get an arena deal not only signed off on but paid for as well. 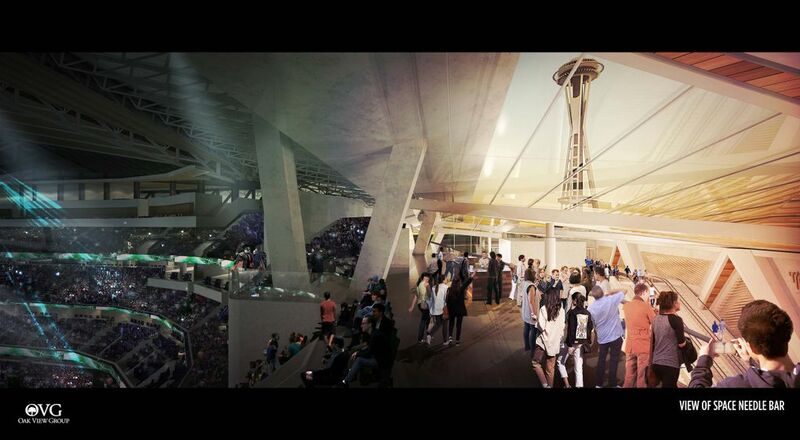 The staggering costs associated with the KeyArena deal and the team that will play there show why it took so long. 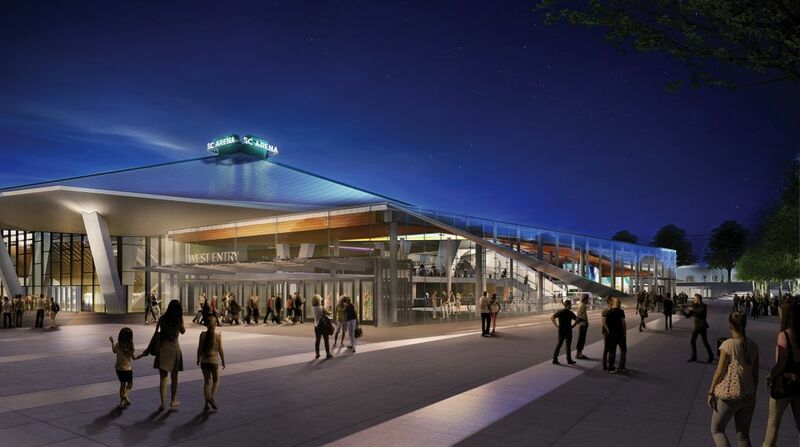 The latest estimates of the KeyArena construction bill peg it at $750 million — all privately funded. Throw in $650 million for the NHL team and $70 million for the practice facility planned at Northgate Mall and you’ll see why pretenders need not apply. Of course, that didn’t stop a number of applicants from stepping forward the past five years, some more capable than others. One of the more memorable was Ray Bartoszek, the Connecticut investor and oil fracking expert who said in early 2015 he wanted to build an arena in Tukwila. In mid-2013, Bartoszek had been the guy who was poised to buy the Phoenix Coyotes and move them to Seattle if the Glendale City Council didn’t vote to extend the team’s arena lease — which it did by a single vote. Bartoszek sure had a knack for showing up places whenever the NHL needed local politicians and business types to get their arena act together. We had lunch in April 2014 near his Greenwich, Conn., home and he told me he was investigating KeyArena as a potential site but would later that summer dismiss the idea as impossible without demolishing its soon-to-be-historically-protected roof. Little did Bartoszek know at the time he ruled it out, but the Seattle City Council that summer was only weeks away from giving the go-ahead to the AECOM firm to investigate future KeyArena uses. And AECOM was to surprisingly discover renovating KeyArena was indeed possible — something that led to the city exploring that venue as an NHL and NBA possibility. So, Bartoszek’s timing wasn’t always impeccable. But when it came to pressuring politicians and other groups to jump-start arena plans, he couldn’t have been better placed had the NHL been paying him as a stalking-horse consultant all along. The Tukwila project has been dead since Bartoszek abandoned it right around when Seattle Mayor Ed Murray was successfully forcing a council vote on Chris Hansen’s proposed arena project in the city’s Sodo District. The NHL needed the Sodo issue resolved once and for all because Hansen held rights over KeyArena through 2017 and his presence prevented the league from entering this market. When the city council rejected Hansen’s proposal in May 2016, it helped clear the way for outside bidders to apply to renovate KeyArena for the NHL. Meanwhile, Bartoszek moved on to his latest project proposal — a privately-financed $1 billion, 17,500-seat arena in Long Island, N.Y., that caused widespread speculation he wanted to lure the New York Islanders back from Brooklyn. Curiously, that proposal came around the same time the Islanders and Tim Leiweke’s OVG were trying to finalize a deal to build the team a new arena at the Belmont Park site in Nassau County — which they eventually did agree to do. The status of Bartoszek’s arena plans on Long Island remains uncertain. But once again, the timing of Bartoszek’s presence worked out perfectly to suit NHL interests. Say what you want about Bartoszek, but he has played a role — whether on purpose or unwittingly — in getting exactly what the league wanted in three hockey markets. He’ll forever be a part of this city’s pre-NHL lore, as will Don Levin, Jac Sperling, Steve Ballmer, Victor Coleman and other would-be arena builders and owners. Again, some were more serious than others. But it took all of their varying levels of interest — Hansen’s as well — to get us here. At some point, somebody will write a really good book about it all. Maybe Seattle NHL team owner Bruckheimer can buy the movie rights and get it done on the big screen when he’s finished filming his Top Gun remake. For now, sit back, hoist an early morning brew at Henry’s and celebrate what all of this jockeying has led to. At some point, professional sports can’t always be about arenas and politics. They require an actual team and games to be fun for the average fan. On Tuesday morning, we’ll have the NHL team. And then, a whole new set of games can begin.